While it's true that "Paris is always a good idea," as Audrey Hepburn famous said in classic film Sabrina, when is the best time to visit Paris? If your travel plans are flexible, you have the luxury of choosing the perfect time - based on your own priorities - to arrive. The good news is that Paris has a lot to offer no matter when you come. Each season and each month has pros and cons. But to pick the best time to come based on your preferences, take a look at our list of 5 key points to consider, and choose the ones that matter most to you. Then, use this information to decide which season and month will give you the best experience. Are there any times when you should avoid coming? We offer some tips on that too! 1. 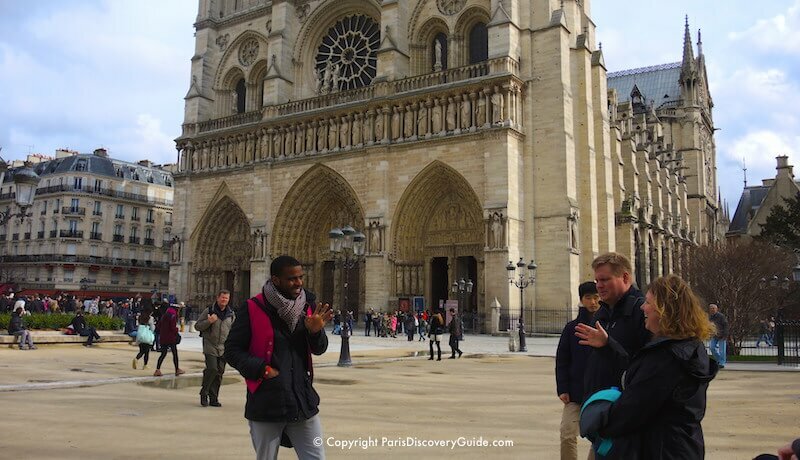 What Will You Want to See and Do in Paris ... Open or Closed? 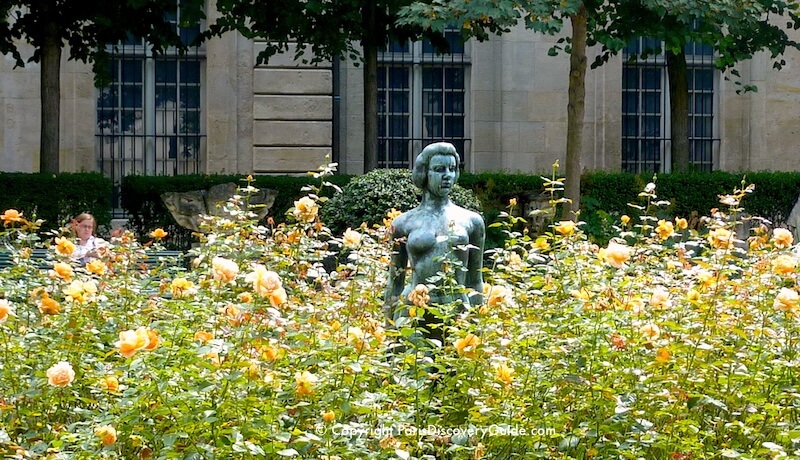 Major tourist attractions stay open all year (except for major holidays), but some smaller museums along with many boutiques, antique shops, restaurants, and art galleries close during August, the month when many Parisians leave the city for their own vacations. And if you want to be there for special events and holiday celebrations such as the Paris Marathon and Bastille Day, you'll need to know when they occur. Many vendors at Les Puces, the famous treasure-filled Paris Flea Market, and most of the antique and vintage shops in Village St-Paul in the Marais take part of all the month off. So do many of the wonderful treasure-filled antique stores in St-Germain. If you fall in love with medieval tapestries at the Musée Cluny and want to visit the small tapestry museum at Manufacture des Gobelins, you'll have to wait until mid-September. Numerous restaurants also close during August, although plenty remain open - you will be in no danger of starving. However, if you have your heart set on experiencing the cuisine of a particular chef, check the restaurant's website to see if it will be open. Many high-profile chefs like to take August off. Most special exhibits at museums, the Grand Palais, and other exhibition spaces typically take place between September and May or June - mid-July at the latest. But a few do continue through the summer - Musée du Quai Branly is usually a good bet. Ballet and opera performances in Palais Garnier and Opera Bastille end in mid-July and resume in early September. Concerts at the Philharmonie in Parc de Villette wrap up in June and restart in September. Although the number of classical concerts historic venues such as Sainte-Chapelle and historic churches is smaller than usual, some do continue to take place -s check our Paris Concerts schedule to see what's still on. Paris Plages, the "beaches" along the Right and Left Bank of the Seine, sports in front of Hôtel de Ville, and swimming and water sports at Bassin de la Villette - open only for two months between early July and early September. Outdoor concerts, festivals, and other special events provide entertainment throughout the summer but primarily in July and August - although even these diminish during the last 2 weeks of August. The famous Paris soldes, or sales, take place in January/February and June/July. If keeping travel costs as low as possible while scooping up designer fashions at bargain prices are your top priorities, the best month for your trip will be January rather than June - assuming winter clothing is your target. Avid bargain-seekers should keep in mind that Paris now offers alternatives to les soldes: a 35-minute train or bus ride will bring you to La Vallée Village, a huge collection of famous-name designer outlets. And you'll even find a few high-end outlet stores right in Paris. 2. Paris Weather - Love the Heat? Energized by the Cold? Rain in Paris is distributed fairly evenly throughout the year, so you can't reliably avoid it by choosing one month over another. Winter months feel cold, gray, and damp, although December can be warmer than you might expect - temperatures in the mid-50s are possible. Even during January and February, the daytime temperature usually ranges from the upper 30s to mid 40s, and can easily go higher. A medium weight jacket combined with a cashmere sweater, warm scarf, and umbrella will usually keep you feeling comfortable on the chilliest days. On warmer days, shed the sweater. Boots are a good idea, along with a hat and gloves. Snowfall each year varies from none to a few inches. Christmas lights and holiday markets brighten up December. You can also expect a scattering of sunny days throughout the winter months. On clear days, humidity is low and the sky will be a brilliant blue. Summers get hot, and 90° F days are not uncommon. Although the temperature doesn't usually hit 100°, it can happen. Humidity usually drops as summer progresses. If you decide to travel in August, be aware that while the weather is often hot, dry, and wonderful, it is possible for the daytime temperature to plunge to the 40s for a day or two, usually accompanied by rain. You won't see this mentioned in most travel guides. Fall weather is lovely, especially during September and October. By mid-fall, golden foliage blazes across the city - a reminder that Paris has more trees than any other European capital. 3. Your Budget - Big or Small? Your flight and hotel will probably be your biggest Paris vacation expenses. Plane fares reflect a typical "high," "low," and "shoulder" month pattern. You'll find the lowest fares from late November through March, except for when they zoom up for a couple of weeks around Christmas and New Year. Late March through mid May, and September through late November are shoulder months. High season rates go into effect from May through early September. The actual timing varies a bit each year, depending on the economy. However, hotel rates for central Paris follow a somewhat different pattern. According to the Paris Tourist Office, average rates are highest during May, June, September, and October. The lowest average rates occur in February and August, although rates may also be lower than average during the last two weeks in November, first two weeks in December, and last two weeks in January. Rates during the remaining six months fall somewhere in between. Any time a huge special event brings lots of visitors to the city, hotel rates skyrocket. 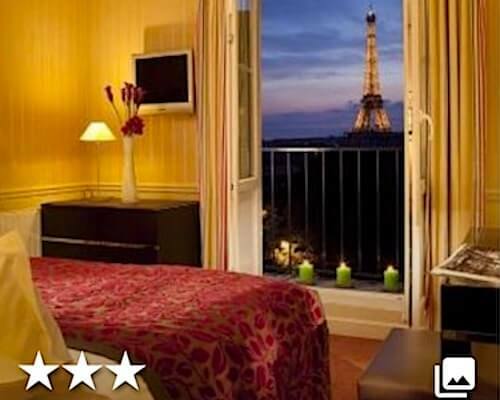 Paris Fashion Week, the biennial Paris Air Show and Paris Motor Show, and other several other big trade expos make competition for hotel rooms particularly intense during June, September, and October. 4. Crowds and Lines - What Is Your Tolerence Level? 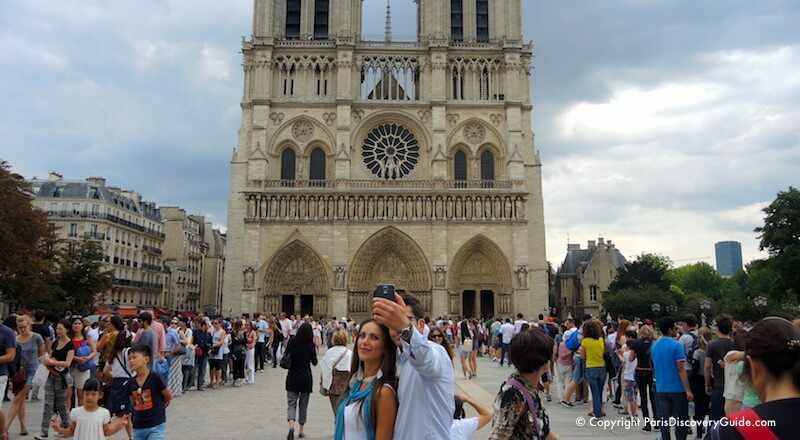 Paris is the most visited city in the world, so it never lacks tourists. In the spring, the number of tourists in Paris rises with the temperature. Starting with the Paris Marathon in early April, visitors begin to pour into the city. The Marathon attracts approximately 54,000 runners from all over the world, about 70% come from outside Greater Paris, and many bring family and friends to cheer for them. Hotels start filling up several days before the event. 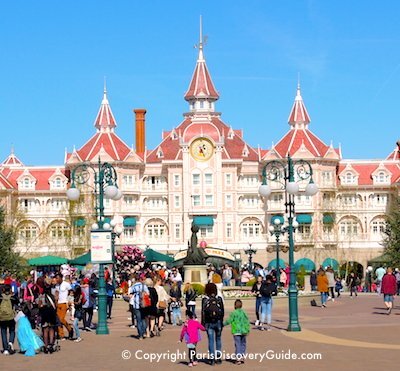 In addition, throughout April schools across France and other European countries have a week of vacation - so you'll see lots of families with kids and teens, particularly at attractions such as Disneyland Paris. By May, lots of American and other tourists arrive, hoping to avoid the even larger summer crowds. And, around mid-May, an invasion of college students descends on the city as summer study abroad programs kick off. Lines at tourist attractions grow much longer. Crowds are biggest during June and July. 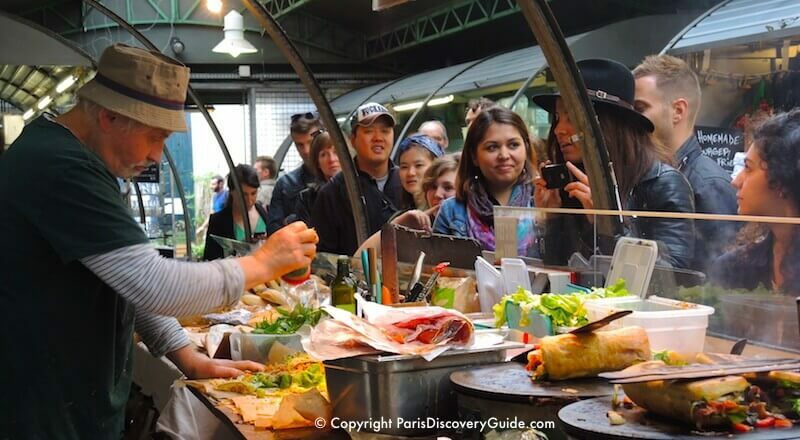 You can find yourself standing in line at the Picasso Museum, the Louvre, the Eiffel Tower, Versailles, and other top attractions for a long time. Fortunately, "skip the line" options can reduce your wait time. During August, the number of tourists noticeably drops - perhaps due to the (mistaken) belief that the entire city shuts down for the month while Parisians vacation elsewhere. Parisians return in early September - it's called la rentrée - and the big trade shows and conventions begin. The biennial Paris Auto Show, for example, typically receives 1+ million visitors (including locals). On the positive side, crowds at tourist attractions are smaller than during the summer months - but good luck getting a reasonably priced hotel room in central Paris during the biggest shows. Visitors do decline in November, and aside from the period around Christmas and New Year, remain low until mid-spring. Winter is the time to come if you don't want to wait in line - and don't mind the gray, chilly weather and short periods of daylight. Since the Christmas season in Paris lights up the city with holiday decorations, nights are much brighter than you might expect. Although the Christmas lights come down in January, the excitement of winter sales starting in early January continue to compensate for the grayness. By mid-February, days begin to get longer and you may even start to see early blossoms on trees and in gardens but tourists are still scarce. 5. Daylight Hours - How Much Will You Have? How Much Do You Need? If you're visiting from North America, you may not realize that Paris is farther north than even Montreal or Seattle - meaning the sun doesn't set until around 10pm in June and July. This means long days of glorious sunlight, and magical evenings as the sun slowly sets, with the sky not getting fully dark until about 11pm. The reverse is true in November, December, and early January, when the sun sets around 5pm. On cloudy or rainy days, you'll feel the darkness even sooner. During December and January, the sun doesn't rise until 8:30am - 9am. Stay away during these months if you suffer from seasonal affective disorder. 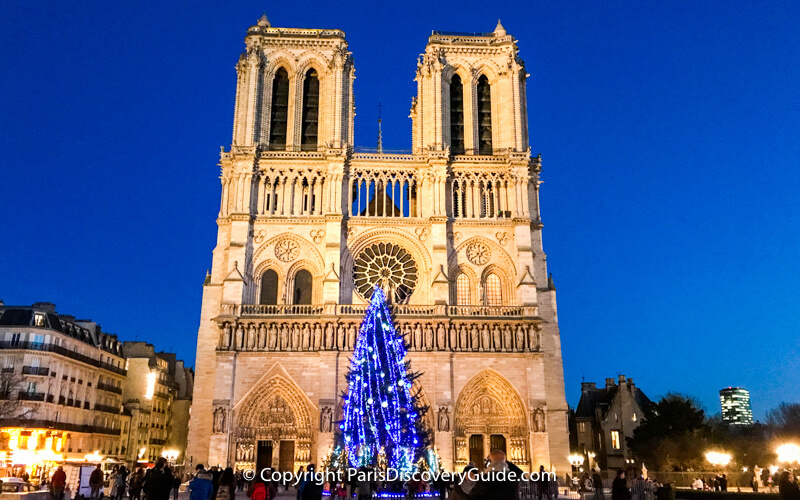 On the other hand, spend your time in Paris at brightly lit Christmas markets, in museums and galleries, shopping, and attending concerts or the ballet, and you may not even miss the sun. Conclusion: So When Should You Visit? So to sum all this up ... if you want to minimize your flight and hotel costs, travel to Paris in February. 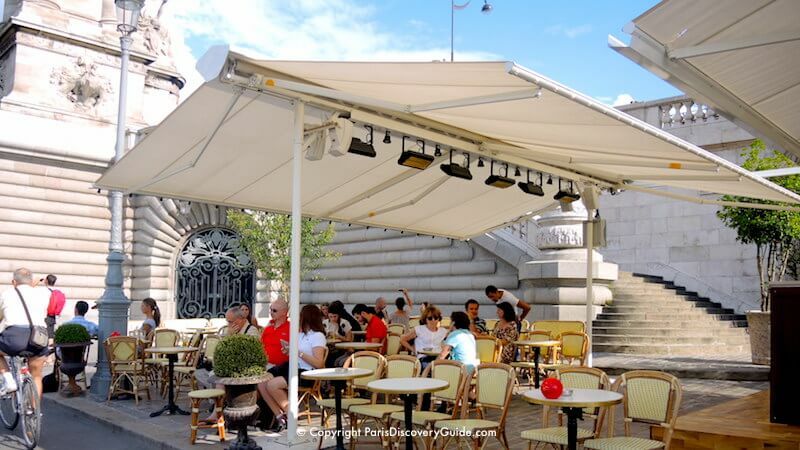 Smaller crowds, comfortable weather, and long periods of daylight provide compelling reasons to visit Paris in May, June, September, and October - but just be aware that you're likely to pay the most for plane fares and hotel rates during these months. Keep in mind that you can economize in other ways. Stop by a bakery or market for a inexpensive sandwich instead of having a pricier meal in a bistro. Take the Metro rather than a taxi. Get a sightseeing pass in order to get free admission to museums and other attractions. 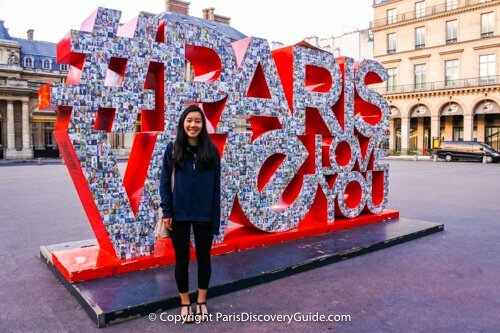 And check out things to do in Paris for free. When Should You Avoid Paris? If you want to avoid visiting Paris at times when hotel rooms are scarce and rates aoar astronomically high, you should plan your travel to not coincide with two of the city's biggest trade shows/exhibitions. Fortunately, each event takes place every other year. The Paris Motor Show is the bigger of the two events, attracting over 1 million attendees, over half of whom travel to Paris from outside the revion for the event. The 10-day show takes place in October during even-numbered years, and is held at the Porte de Versailles on the edge of the 15th arrondissement. With over half a million visitors seeking accommodations, you can imagine the challenge of making hotel reservations during this period, even if you book far in advance. Check our October events calendar for dates. The Paris Air Show attracts only about a third as many visitors during its 1-week duration - but that's still a heavy demand on hotel rooms, especially since most attendees choose to stay in Paris and take the RER B to the show location at Le Bourget Parc des Expositions north of Paris. The Paris Air Show takes place during odd-numbered years in mid-June - one of the most popular months for tourist visits. Check our June calendar for exact dates.